In 2017, Isaias Martinez received a phone call to his home in Cuba from his friends at Under Over Fellowship in Conroe, Texas. They invited him to start a church for the Hispanic community in Conroe and offered to serve as his sponsor church. 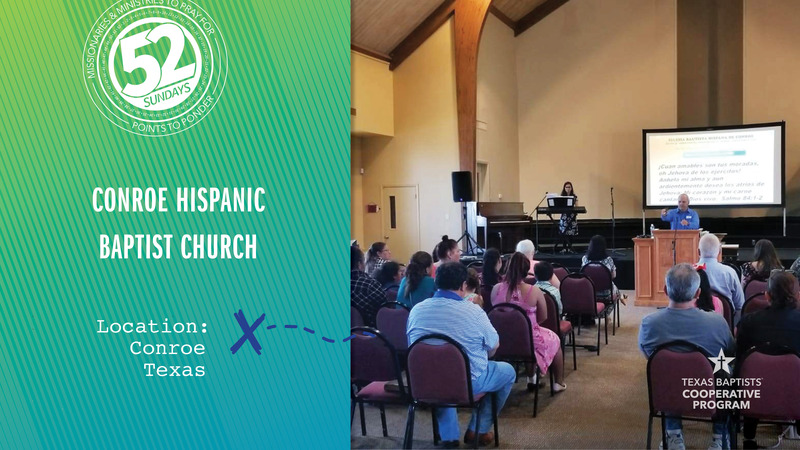 Less than two years later, Conroe Hispanic Baptist Church was meeting together on Sundays, rejoicing in 44 professions of faith in one year. Martinez said that the plan is for the church to become self-sufficient within the next few years. Our church’s gifts through the Cooperative Program provide for new churches, like this one, to share the love of Christ with communities around our state. Martinez asks that we pray for the members of Conroe Hispanic Baptist Church and their commitment to grow.